Let radiant sunlight illuminate your room with picture windows. We here at Renewal by Andersen of Southeastern Mass and Rhode Island designed these models to be stationary; they allow light to enter without the possibility of dirt, pollen, or rain invading your home. Heating and air conditioning pose no threat of escaping through these windows. When you choose us for window replacement in Massachusetts and Rhode Island, the view is simply picture perfect. Below are our several picture window options. To learn the full details of each model, schedule your FREE in-home consultation with Renewal by Andersen of Southeastern Massachusetts and Rhode Island. 100 Series: Simplicity, durability, and affordability make this option ideal for homeowners to bring in natural lighting. Our Fibrex™ composite material allows this window to last for years without cracking, peeling, or flaking. 200 Series: Available in our most popular sizes, this model fits any room and frame snugly to seal out unwanted elements. 400 Series Complementary: Six exterior colors along with natural pine of white interior finish set this style picture window as a customizable design element in any home. A Series: A tall bottom rail adds traditional look and appeal to the A series. Several natural wood finishes with eleven exterior finishes make this our most customizable model, able to accent your home’s interior and exterior. Pair picture windows with our other models, such as casement or double-hung, or enjoy them singularly. We assure that every time you pass, you will admire the scenic view around you; it is like having a painting that subtly changes day by day to be enjoyed for decades. Renewal by Andersen of Southeastern Mass and Rhode Island provide window replacement to Fall River, New Bedford, and the surrounding areas with unmatched craftsmanship. As a BBB (Better Business Bureau) accredited business, we here at Renewal by Andersen of SE Mass and Rhode Island take great pride in our ability to cultivate a positive customer experience. 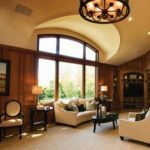 When you turn to use for picture window replacement in MA or RI, you will work hand in hand with our courteous, responsive staff in order to ensure that your project goes off without a hitch. From the day of our initial consultation on, we will be at your disposal to answer any questions you may have. To start on the path towards new windows today, give us a call or fill out our request a quote form to schedule your FREE in-home consultation with our local window experts. Renewal by Andersen of Southeastern Mass and Rhode Island leads as experts in doors and windows. We have deep roots in the local MA & RI communities, and work tirelessly to improve the homes of our neighbors. Call us at 401-473-2739 to set up your free, no obligation in home consultation at no charge to begin your home improvement projects.